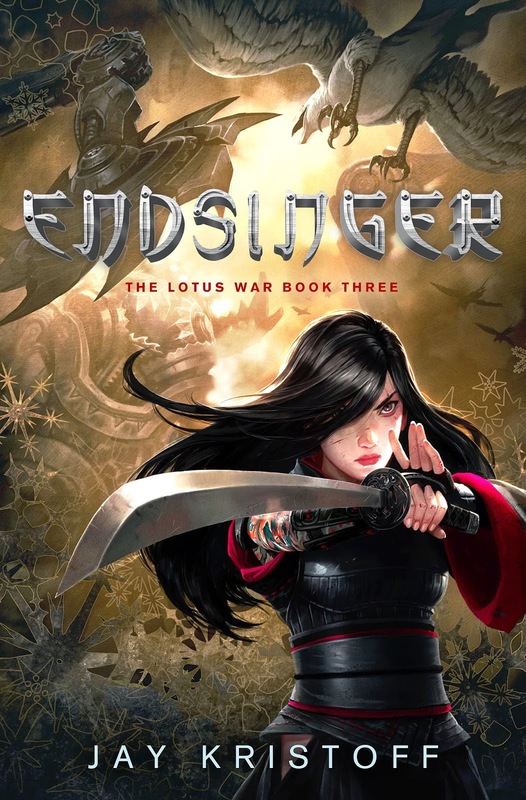 Time to reveal the cover for ENDSINGER, the last book in the Lotus War trilogy that began with STORMDANCER. Jay just informed me which chapter contains animal death in KINSLAYER (commence ripping out of chapter 52 ...), so now I can finally get caught up on this series in time for the ENDSLINGER release date of Sept. 23rd! 4. Name the guildsman who betrayed the rebellion at the end of Kinslayer.